Learning Visual Communication and Graphic Facilitation: What’s happened so far? In Learn Graphic Facilitation Episode 1, you told your Ogre to take a holiday. Who needs that negative voice? In Learn Graphic Facilitation Episode 2, you got our drawing warmed up with lines. Lines are the basis of all drawings. 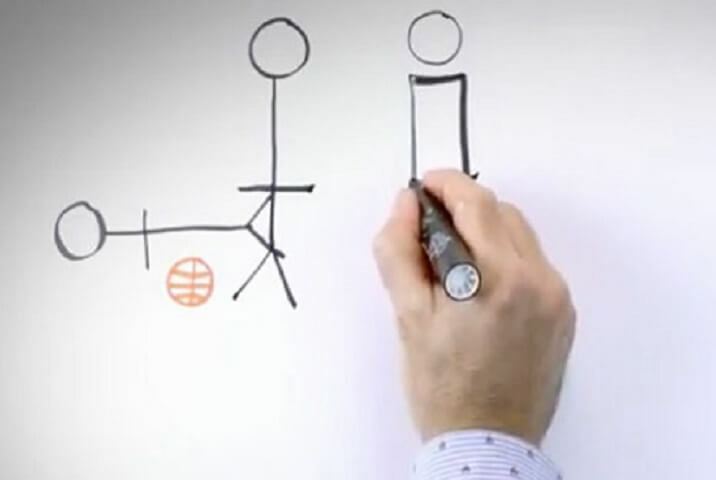 In Learn Graphic Facilitation Episode 3, you learnt how to look at the world in shapes. When you see the world around you in shapes, you can literally draw anything. 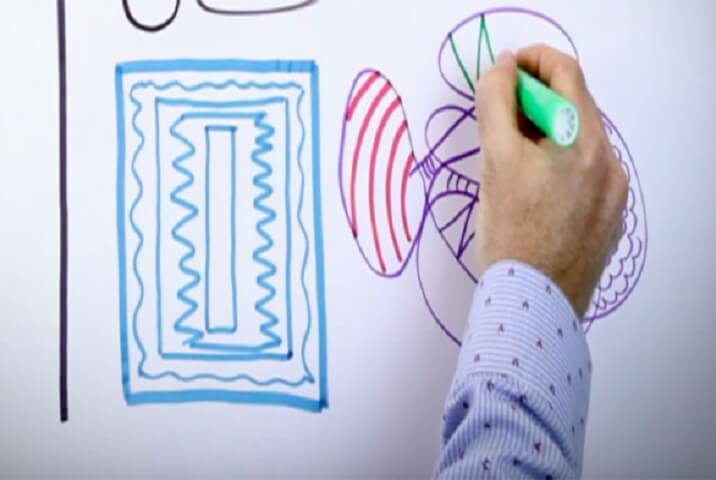 In Episode 4, we look at how effective shapes are to group and simplify information. We are bombarded with information all day, every day. It’s more than ever before. A report in the Guardian said that in 2011 we consumed 174 newspapers worth of information/day. Can you imagine what it is now? So much of that information can be incredibly complex, especially in large Organisations. Using simple shapes to group that information can make it simple to comprehend and connect with. 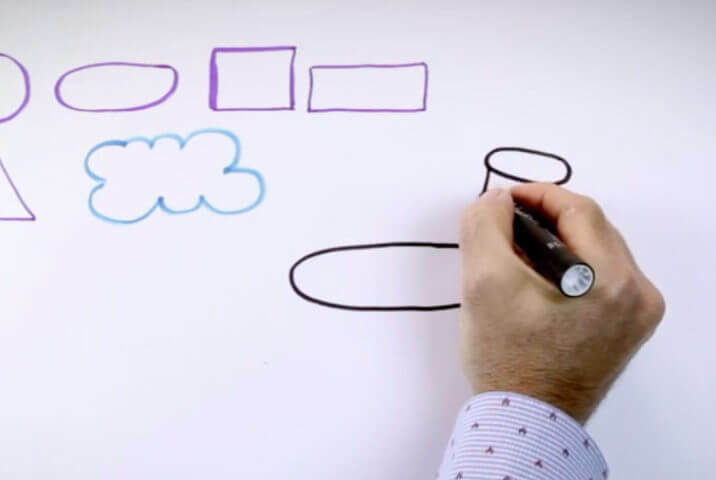 That’s the role of graphic facilitation and visual communication: to make complex ideas simple and easy to understand and using shapes are essential to that process. Shapes help you to group concepts. They let you provide context using size. They let create thought bubbles or clouds. Shapes are a great way to make signs and traffic lights. Who doesn’t want to be able to master a visual for what you will Stop, Start and Continue this year? Remember, drawing doesn’t need to be complex. The more simple the better and this is where I believe many people become stuck when starting out. When using shapes, ask yourself, “What’s the simplest way that I can draw this, or what’s the least amount of lines and shapes that I can use to get my point across?” You want to go for as little detail as you can rather than too much when you’re starting. Apply the Keep It Simple Stupid (KISS) theory to all of your drawings. So, shapes are your friend in more ways than one and most importantly, they are really simple to draw and ANYONE can master how to draw shapes. If you can master shapes, you can master visual communication. If you have some examples to send through on how you are using shapes, I would love to see them and will put them in my next blog.